We appreciate your support of these ongoing fundraisers! CALM MY PET Products Work in Harmony Together. CALM MY PET MUSIC is specific musical compositions lovingly selected by Pamela Fisher, DVM to help pets cope with common phobias such as thunderstorms, household noises and stress. 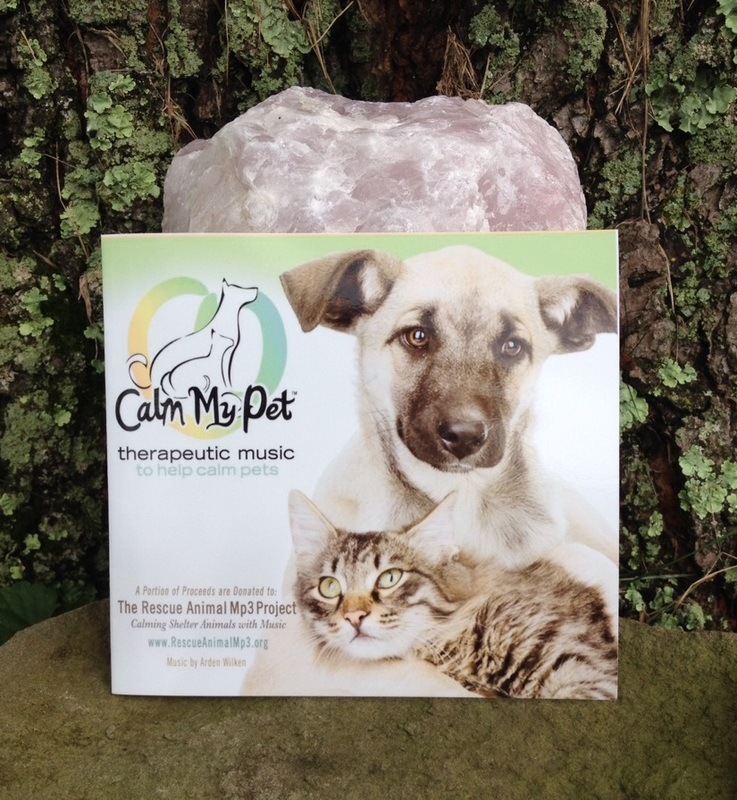 The special vibration of this music by Arden Wilken creates a harmonious environment for your animal companions while also improving their health and behavior. – $22 includes USA shipping. 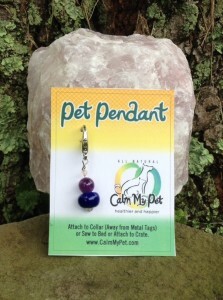 CALM MY PET‘S EMOTIONAL ESSENCES- hand created energy balance formulations. 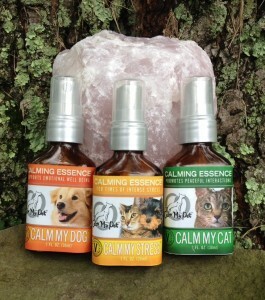 CALM MY DOG, CALM MY CAT, CALM MY STRESS Essences are unscented calming formulas to promote emotional well-being for your pets, a general calming tonic which can also be tailored for specific emotional issues. Helping our pets let go of old patterns will help them move forward in life. This process can take up to 3-5 months of use as needed. The Calm Essences are specially formulated Vibrational Waters from nature which help animals calm and balance their emotions. 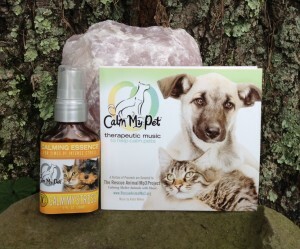 CALM MY STRESS should be used in combination with the CALM MY DOG or CALM MY CAT essence to have additional calming benefits. They can be gently misted on your pet, petted on fur or sprayed on food or water 2-3 times daily as needed. It may take several months to see improvements in some cases. 1oz - $26 includes USA shipping. 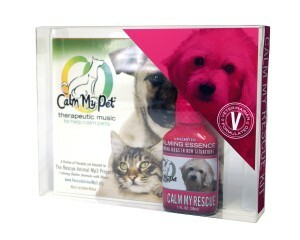 CALM MY PET AROMATHERAPY – organic, hand selected therapeutic calming scents to soothe. 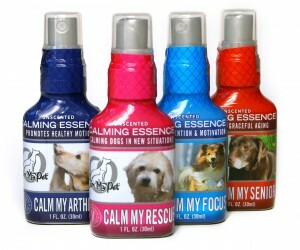 CALM AROMA is specially formulated water based aromatherapy to help animals with a light calming scent. Spray bed & toys. 2oz – $32 each includes shipping. 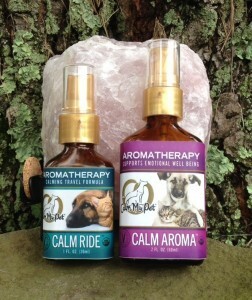 CALM RIDE is therapeutic essential oils formulated by Dr. Pamela to diffuse using a cork vent clip or spray in your car for calming and easing motion sickness for your pet on any journey. 1oz - $26 includes USA shipping. CALM MY PET PENDANT is intuitively designed with a special Electro Magnetic Frequency (EMF) protection bead and gemstones to balance, protect and help our pets feel their best in our electronic world. Attach to your pet’s collar (away from tags), bed or crate. Use this for your pet and yourself as a pendant, attach to a cell phone, by your computer or in your pocket for protection.- $20 includes USA shipping. Does your dog go bonkers when the doorbell rings or when you grab the leash to take him for a walk? Getting your dog to calm down and relax is one of the most common challenges pet parents face. 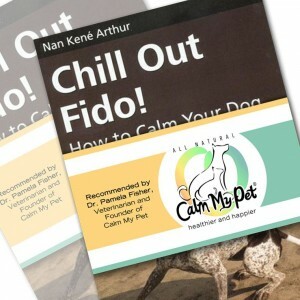 This two-part book will help you first identify the factors that cause this kind of behavior in dogs, then it provides you with eleven key training exercises to teach your dog how to calm down, pay attention to you, relax, and respond to everyday situations with confidence and composure. – $22 includes USA shipping. Visit CalmMyPet.com for more information how to help calm your pet.